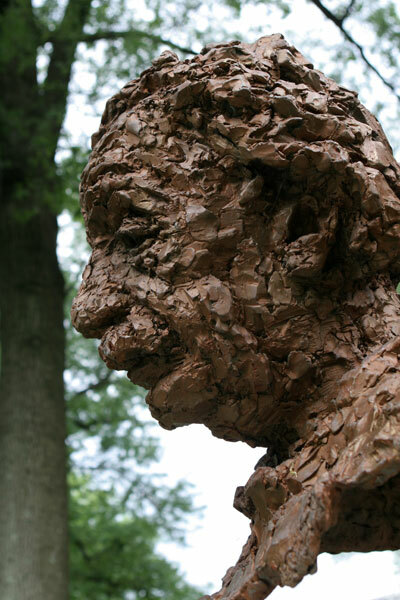 Yesterday, I finally walked past the bust of Albert Einstein in the park surrounding Princeton’s Borough Hall. 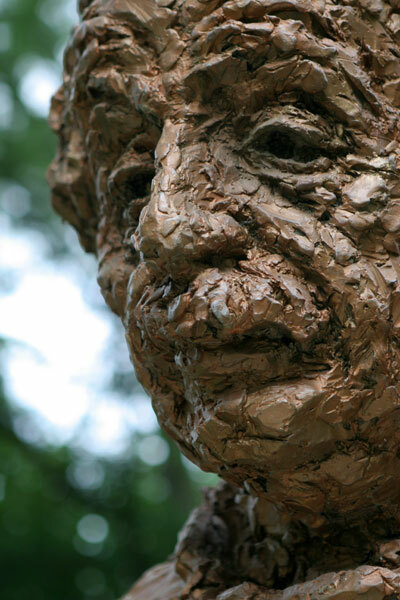 Einstein lived in Princeton for more than twenty years from 1933 until his death in 1955. He worked here through the Institute for Advanced Study, a leading center for theoretical research where major figures in science like Robert Oppenheimer and Kurt Goedel have also held court. I saw this one, or one very much like it as an original print at the World’s fair in Montreal, 1967, and it brought tears to my eyes. Check out Karsh’s other portraits of famous people if you haven’t already. Thanks for the reminder. The photo on the link is incredible. What an interesting face. And I think I’ve seen it before. Looking at Karsh’s work now I see he’s taken so many iconic images over the years. Thanks for putting a name to the photographer’s work. Photographs are always more finely detailed but the rustic rough texture of the sculpture is uniqure too.